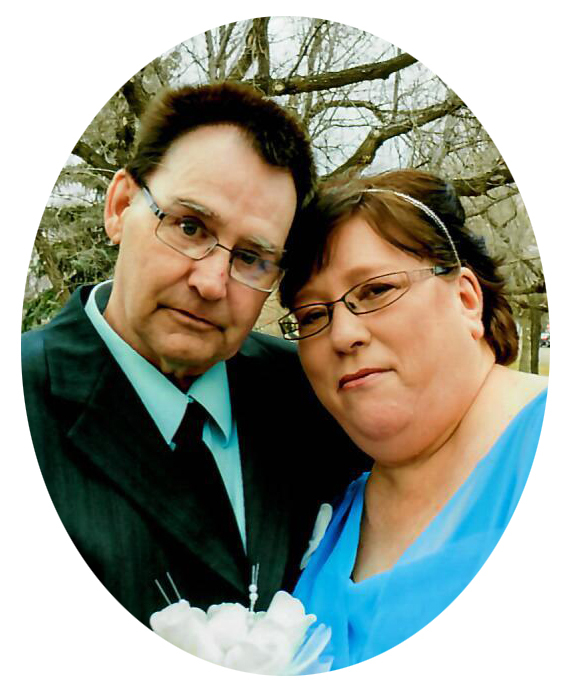 It is with sadness the family of Dayton "Earl" Moore announce his passing at the Rosetown & District Health Centre on April 8, 2018 at the age of 57 years. Earl was born in Rosetown to parents Dayton and Elva (née Franklin) Moore. He was raised in Rosetown where he lived for the duration of his life. Earl and Heather Allain, a friend he knew for many years, began dating in 2009 and were married on October 28, 2017. They spent nine wonderful years together. Earl loved being outside, he always found a reason to be out enjoying the fresh air, be it working on cars or any kind of machine or tinkering on a project, you could usually find him enjoying the outdoors. He also loved watching hockey, if there was a game on, he would always want to tune in to it. Earl loved his family, when Earl and Heather began dating he became very close to her children and he loved being “Papa Earl” to his grandchildren. Earl is survived by his loving, devoted wife Heather Moore; her children Denika Rogerson (Tavis Smyth) [Belle, Nyle and Lillith], Tiffany (Chris) Kronberger [Hailey, Kayden and Paityn] and Luke Elyward (Megan Cook) [Ryan, Cameron and baby on the way]; his children Stephanie, Ryan, Jeffery, Amy and Curtis and their families; his parents Dayton (Eileen) and Elva; his siblings Faye (Dan), James (Margaret) and Dean (Tammy) and families; mother-in-law Dora Rogerson; brothers-in-law Eddie, Michael (Audrey) and Kevin (Paula) and families; sister-in-law Bonnie Brooks (Doug Good) and family. He was predeceased by his father-in-law Ernest Rogerson, brother Robert Moore and nephew Adam VanHatten. A Celebration of Life was held on Monday, April 16, 2018 at 2:00 p.m. at the Rosetown Community Church with Pastor Bill Lindberg officiating. Donations in memory of Earl may be made to the Canadian Cancer Society, 1910 McIntyre Street, Regina, SK, S4P 2R3.